This series is a fascinating introduction to simple, delicious, and healthy Korean food that are quick and easy to cook. Executive chef and food writer Judy Jootravels back to South Korea and sets off on an incredible culinary journey to visit some of the amazing people and places inspiring her cooking and shares her passion for authentic traditional and modern Korean dishes. Every episode caps off with Judy heading back to the kitchen and cooking up a delicious variety of Korean-inspired recipes and flavours. Follow Donal as he heads to Europe and travels across 10 countries to meet local food bloggers, who will take him on a tour to showcase the best of European cuisine. From the bustles of Budapest, to the fascinating Turkish city of Istanbul, Donal will eat, cook, photograph and blog his way around these special destinations. Junk Food Flip follows Bobby Deen and Nikki Dinki as they travel the country looking for the most delicious, guilty pleasures that they can flip into lighter dishes that are still indulgent and taste great. When they find the right dish Nikki and Bobby challenge the owners of the restaurant to a cook off. If people think their version is as delicious as the original, then it goes on the menu! If not? The owners get bragging rights and cash. Don’t miss this culinary showdown, where two dishes go head-to-head and a hungry crowd of locals determines which version they enjoy the most. Kevin Dundon invites viewers to join him at the beautiful countryside of Ireland to help home chefs master key culinary skills. Kevin demonstrates easy and straightforward cooking while offering step-by-step methods, hints, tips and tricks of the trade. Each half-hour episode of Kevin Dundon’s Back to Basics covers a key ingredient, type of food or fundamental technique. From poaching eggs and mastering a soufflé to whipping up a quick supper or a big Sunday lunch for friends and family. 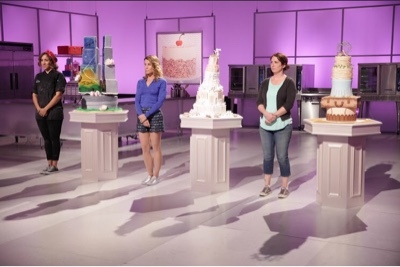 Four baking masters will compete and showcase their culinary creations on Food Network’s Cake Wars. Hosted by Jonathan Bennett, the four expert bakers go head to head in a series of heated challenges, creating the most extraordinary cakes in hopes of winning the judges’ hearts! Who will emerge victorious and take home the grand prize of $10,000? Cousins, best friends and business partners, Sal Basille and Francis Garcia own some of New York’s best pizza shops. Constantly on the look out for good food, Sal and Francis go on an adventure in their quest to find the greatest food spots in America. The duo visits the best eateries and restaurants across America because they know good pizza and good food when they find it. Turning around a failing restaurant is a daunting challenge under the best of circumstances. Attempting to do it in just two days with only $10,000 may be impossible, but Chef Robert Irvine is ready to take on the challenge! Unique Sweets is an insider's peek into innovative eateries across America that are creating today’s most unique and exciting desserts. These sweet spots range from restaurants with revolutionary pastry chefs to bakeries and candy shops producing one-of-a-kind confections. Unique Sweets will take you to the most gooey, crunchiest and sweetest treats in America! We follow home seekers across Asia as they navigate the sometimes rough waters of buying real estate. From high-rise condominiums to humble abodes, they'll check out all kinds of architectural styles and cut through the red tape to find their new home. In the end, which house will they choose? Most people only fantasize about living on an island, but we'll prove that living on the island is possible for anyone. Tropical dreamers will be shown island properties that fit into any budget, from ultra-affordable to totally outrageous. We'll follow everyday families is search of their own slice of paradise, and prove that fantasy can be reality. Texas design and remodeling pros Chip and Joanna Gaines are helping homebuyers to look past the superficial, convincing them to buy the worst house on the best block and then make it beautiful. They will take the wrong house in the right neighborhood, and then design, construct and transform the diamond in the rough into the home of their clients’ dreams. Nicole Curtis is saving historic houses, one broken-down fireplace at a time. Working in Detroit and Minneapolis, Nicole transforms ramshackle homes from the wrecking balls by restoring them to their original stunning glory. Whether it's managing her rugged crew or wrangling city officials, this single mom is determined to return condemned properties to their places as the pride of their neighborhoods. We follow home seekers across America as they search for their perfect house. They'll weigh the pros and cons of three different properties before deciding which one is meant for them. Will they pick the move-in ready home with a higher price tag or the one in their budget that needs a little tender loving care? From Denmark to the Dominican Republic, we follow home seekers around the world as they navigate the sometimes rough waters of buying real estate in other countries. From Roman columns to Spanish arches, they’ll check out all kinds of architectural styles and cut through the red tape to find their new international home! Applaud and appreciate the love, care and support your mom or someone you look up to with HGTV’s Mother’s Day Special: Supermoms! Join Chip and Jo as they find and create a perfect forever home for home buyers across America in Fixer Upper, then team up with supermom Nicole Curtis in Rehab Addict as she saves historic houses, one broken-down fireplace at a time. Flip or Flop duo Tarek and Chrstina El Moussa transform and flip a diamond in the rough in an attempt to turn a profit on their investments. Former 90210 star and single mom of three, Jennie Garth, starts over. Together with contractor Scott, she’s stripping a Hollywood Hills home to the studs and building it back up to her ultimate dream house in The Jennie Garth Project. Then sit back and enjoy sweet in-home retreats just for you and your mom in Mom Caves. Soar across America and join travelers as they explore awe-inspiring and internationally renowned natural wonders. 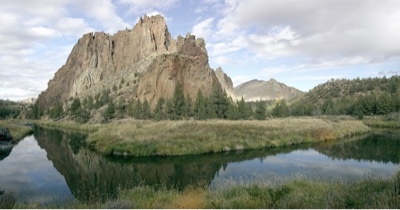 America's vast and iconic landscapes host climates and terrains that are diverse. Experience spectacular views from 3,000 feet above California's storied Yosemite Valley as hang gliders launch themselves from Glacier Point and ride the bioluminescent Caribbean waves of Puerto Rico's Mosquito Bay as marine biologists examine the rare ecosystem that gives birth to this natural phenomenon. Viewers will see America's national parks like never before through first-person exploration, adrenaline-pumping adventures, and once-in-a-lifetime happenings. For Chef Aaron Sanchez, Mexican food is his love. And tacos? Well, they’re his favorite! Taco Trip takes Aaron across the U.S. exploring the Latin side of every city, encountering the chefs, families, and locals who have helped define each city’s culinary landscape. Aaron dives headfirst into his journey and turns every trip into an unexpected exploration of the most delicious tacos in town. Enter the gates of the world's most impressive castles, manor houses and mansions where secrets wait to be revealed. See these amazing structures in all their glory and hear the remarkable, mysterious and bizarre tales tied to the rich and powerful who once resided there. From a German castle where a real life Dr. Frankenstein tried to breathe life into the dead, to the magnificent Highclere Castle, once the home of an English Lord who was cursed after unearthing King Tut's tomb, these stories will captivate and amaze. Hosted by Justin Bonello, 15 teams will compete across a variety of grueling outdoor cooking challenges throughout an extreme 52-day, 8,000km road trip. The winning team will collect a prize of 500,000 South African rand, a brand new SUV and the title of South Africa's Ultimate Braai Master. Tension arises between the teams as they need to quickly adapt to the rigours of sourcing their own ingredients and to the pressures of competition cooking. After each day, teams have to face the elimination challenge where the heat really begins to rise. Ultimate Braai Masterproves that if you can't stand the heat of the grill, you should put down the tongs. Most people dream of living in Hawaii, but the brokers at Hawaii Life can make that dream a reality for everyone. From Oahu and Kauai to Maui and The Big Island, there are properties to suit any lifestyle from the ultra-affordable to the totally outrageous. We follow families as they leave mainland America behind and head to the Caribbean region to live on island time. Join their search for an affordable slice of heaven, touring gorgeous homes on white sandy beaches. You don't have to be rich to live in paradise!